Upstox (earlier known as RKSV) is one of the leading discount brokers in India. With more than 20,000 customers across the country, Upstox does a turnover of INR 7000 crore on a daily basis. 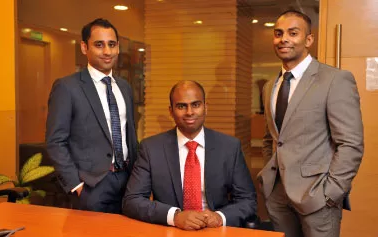 This stockbroking firm was launched in the retail trading segment in January 2012 by 3 founders namely Raghu Kumar, Ravi Kumar and Shrinivas Viswanath. Upstox is known for designing and developing its own trading platforms for its clients. With a team of 20+ developers, the broker maintains its trading platforms as well. 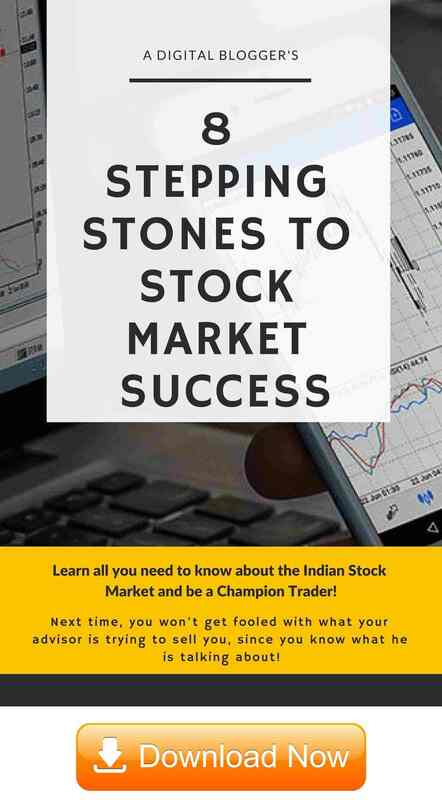 As far as customer education is concerned, Upstox offers “Trade Academy“, through which it organizes seminars across multiple locations in India. However, in the recent past, it seems the focus towards this initiative has declined and a much lesser number of such seminars are being held. Further, the ones that are being held are primarily in the metro cities of the country. Based out of Mumbai, Upstox has a presence in New Delhi and Bangalore as well. The firm has been backed up by some of the prominent names such as Ratan Tata, Kalaari Capital and GVK Davix. Upstox offers some of the most high-tech trading platforms in the Industry. 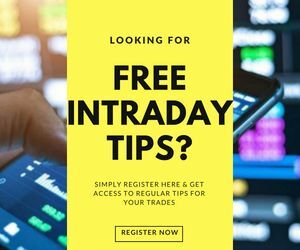 Most of the trading platforms of the discount stock broker are developed in-house which is certainly a unique selling proposition among the discount stock brokers in India. They offer trading platforms across devices with advanced features. Provides high-speed trading with very low delays during transactions. The only concern with such an application is that the discount broker himself (Upstox in this case) does not have much of a control when it comes to the maintenance of the software. So if you are a client of this broker and you have some feedback regarding the application, there are very low chances of that getting incorporated. Mostly, the feedback will be transferred to the NSE development team (or financial technologies) and the decision of incorporating the feedback stays at their will. Upstox Pro web is a Trading platform for the web that can be accessed from any browser. Users can use this application from anywhere without downloading or installing any software. Clients can just open a browser and visit a specific URL to access the application and start trading. This application can also be accessed through mobile phones or tabs. 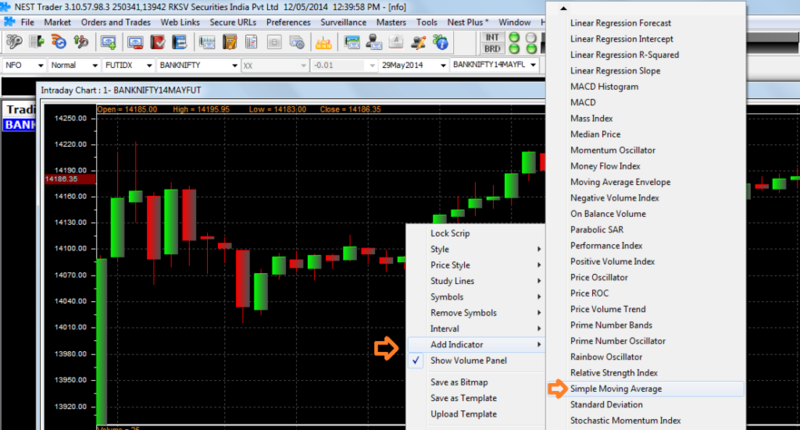 High functional charts with over 100 indicators and charts that allow users to observe the market and stock trends. Features such as Workspaces can be customized as per user preferences. The discount broker is going to launch a ‘Tamil’ language based mobile app version very soon in the market. 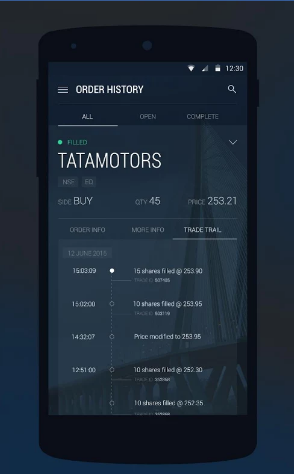 This will be first of its kind of a mobile trading app and it comes from the fact that their client base has seen a reasonable movement from Tamil Nadu. Connectivity issues observed in smaller tier cities or with users having low internet connection bandwidth. 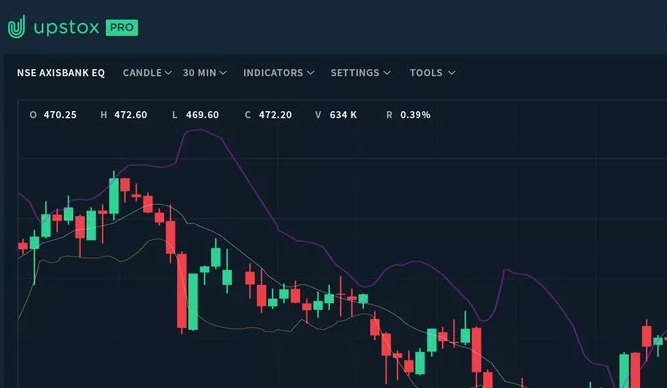 Concerns about loading of the charts in case you are looking to perform technical or fundamental analysis using the mobile app. The discount broker certainly can look forward to increasing the number of communication channels such as Web Chat, Toll-free numbers, even automated bots so that users and clients can have a better number of options to get service on the move. However, as of the now, the communication quality is fine but primarily the focus of the executives stays a little “salsy” in nature. Thus, clients of the discount broker who are regular traders and are looking for quick assistance might find the overall quality below average. Till 15th May 2017, the discount stock broker had the provision of free account and annual maintenance charges. However, after that, they have started charging for the opening as well as maintenance of accounts. Upstox offers pretty competitive brokerage charges in the league of discount brokers. The brokerage is fixed ₹20 at Cash (Equities), Futures, Options, Currency Futures and Options, and MCX Futures. For instance, even if your order has 15 lots of options, you still pay ₹20 for that particular order. At the same time, equity delivery trades are not charged at all. 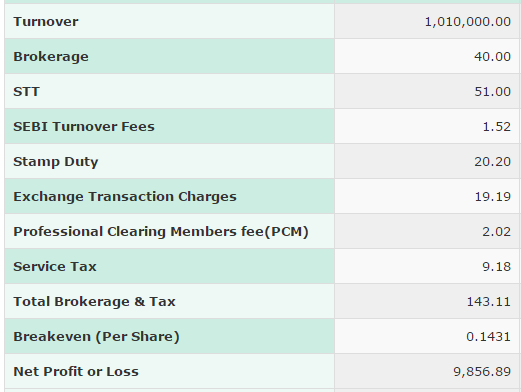 As per industry standards, the transaction charges levied by the discount stock broker are pretty nominal. Apart from the above-mentioned charges, there are other payments you are supposed to make. Those include Securities transaction charges, Service taxes, Stamp duty, SEBI charges. Make sure you understand all the costs, get those emailed or documented from the broker before you go ahead and open your account with the broker. Just to give you an idea, of the overall payment you are required to make a transaction. Let’s say, for bought 1000 shares of Infosys for ₹500 each. After a week or so, you decided to sell off all the shares at a price of ₹510. For these two transactions of buy and sell, this is how the calculation will be done and the last row talks about your takeaway profit. Upstox provides its own demat account opening services unlike most of the other stockbroking firms. Funds transfer with 40 prominent banks in India is allowed. “Upstox is a good choice for traders who are looking for a stockbroker that offers cheap brokerage with decent trading platforms. However, such offerings are provided by quite a few discount stock brokers these days such as 5Paisa or Zerodha. Thus, Upstox needs to push its tempo up and bring in more value propositions in this highly fragmented stock broking space in India. Enter Your Details here to get a call back now. If you Aadhar Card, the overall account opening process can be completed within a few hours. The details can be checked from the corresponding websites. The broker has a referral program where existing clients can refer their friends and family. 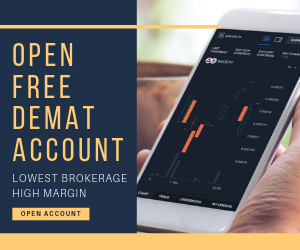 If they become clients of the broker, the referrer gets 10% of the brokerage generated from the accounts opened into his/her own account, fo the lifetime. Having said that, most of the stockbrokers have such a program with 10%-20% brokerage sharing set up. 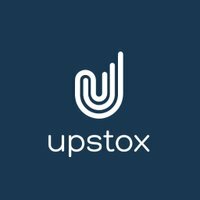 Is Upstox a reliable stockbroker? Is Upstox trustable for long-term investments? Although the discount broker is primarily positioned as a “start-up” in the discount broking space, it certainly has the backing of some of the renowned names from different industries of India and outside. Names such as Ratan Tata have invested into this discount broker. However, basing the complete reliability just on that particular factor may also be an extreme. Since not all the investments done by renowned investors work out successfully. Nonetheless, the focus of the team looks promising for now. Does Upstox provide any inbuilt algo trading strategies? No, the discount stock broker does not provide an algorithm based trading strategies. Among discount broking space, 5Paisa and Fyers are a couple of names that help you with trading strategies. How can I apply for an IPO through Upstox? There is no direct way for you to invest in IPOs through Upstox. However, there is an indirect way where you fill in the IPO form and put in your Depository Participant (DP) details in your bank account. By doing that, if you are allocated IPO shares, those will be transferred to your demat account. Having said that, it is certainly a cumbersome way and is not recommended for beginners. Is Upstox suitable for beginners? As long as you can perform your analysis and research on your own. A discount stock broker like this will provide a trading platform and average customer service, for rest of the process you will be on your own. However, if you are thinking of performing your analysis on your own, then it certainly makes sense to go ahead with this discount stock broker. By doing that, you can certainly save a lot of profit to yourself, instead of getting it eaten up by a full-service stockbroker. 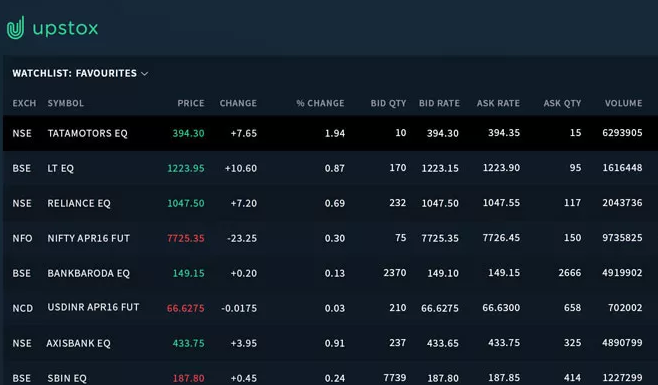 Does Upstox has a terminal based software? Yes, they do but it is not their own in-house trading platform like the rest ones (Pro Mobile and Pro Web). The discount stock broker offers NEST to its clients which is an NSE based trading platform. Make sure to check with the broker whether it charges its clients for using the platform. 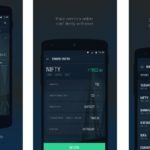 Is Upstox the cheapest stock broker in India? It is a cheap stock broker, certainly not the cheapest. There are other discount stock brokers such as SAS Online, Prostocks, 5Paisa that offer brokerage in the range of ₹9 to ₹15 as compared to ₹20 charged by Upstox. How can I close my Upstox account? If you are looking to close your account with the discount stock broker, you need to follow some basic steps. To know the complete procedure of closing your demat account, click here. How do I file a complaint against Upstox? If you have had a bad experience with the broker, it is better to reach out the management through channels such as Twitter. However, if you still do not get a satisfactory response, you can register yourself at SCORES, a portal by SEBI and then register your complaint against the broker with all the requisite details, documentation, recordings etc. The more proofs you have better would be your standing in the case against the broker. The ratings given here seems to be OK, but the fact is their service quality has degraded over the period of last 4 years (They, now are called as “Upstox”, They have introduced their own DP account, make their customer to transfer their trading clients to new RKSV DP account. Lots of misguidance, lack of understanding to customers’ requirements, their customer service. My wife has Upstox account and when she bought shares in August, disappeared and she couldn’t trade. RKSV said they had intimated as they are stopping DP services, but the question is how the delievery of stock could happen at all in absence of linked DP? if it was already linked then why they are saying that they stopped services using IL&FS DP service. How can they force any of their customer to do so, isn’t it a kind of black mail? I have a loss of about a month now and I am not able to trade the bought shares with IL&FS, in any case they should have blocked the services totally or should have kept running fully. Fraud Company. Never open account. I have been using it for 2 years. Hell lot of issues with their software. You will end up with writing mail and chatting with support. SEBI should ban this broker. Better go with some other broker like Zerodha, 5paisa etc.